Its expansive, well integrated line of accessories make it one of the most versatile side-by-sides on the market. Yamaha’s Wolverine X4 is a great machine for exploring wooded trails and weekend camping trips in the wilderness. We were easily negotiating tight switchbacks that would have had us performing a number of four-point turns in the General 4 or Commander Max. Its sporting performance kept us smiling while its comfortable ride and interior had us wishing the day was a little longer. The engine sits low in the frame, and is compact, yet has a long stroke that gives the X4 one of the best power curves going for a recreational machine. Being a Yamaha, it has superb engine braking. Yamaha also made the machine turn on a dime with superb steering that is precise and easy, with Yamaha’s proven power steering system. Hunters, pay attention here: The X4 is — by far — the quietest UTV on the market today. [I]t’ll be perfect for hauling your buck out after a successful hunt, along with your gear and hunting buddies. It’s a great trail and hunting machine, so if you want to realize your adventure of a dream hunting trip, this is the machine to do it in. The engine and drivetrain on the Yamaha Wolverine X4 are also very quiet. This is one of my pet peeves and one of the reasons why I generally don’t change out exhaust on my buildups. I like a quiet ride where I can talk with my passengers and the Wolverine X4 is probably the quietest on the market. Like many other Yamaha UTVs, the Wolverine X4 comes with an ultra-reliable Ultramatic CVT. This CVT is probably my favorite in the industry because it grabs the belt like no other and also provides for engine braking that works in a predictable and smooth manner. One area where four-seaters always struggle is handling different load scenarios. Typically manufacturers will pick a middle-of-the-road solution which is a little too stiff for driver and no gear, and way too soft and low in the rear when you load it with four-adults. Well, Yamaha has this situation nailed. They have installed self-leveling shocks in the rear that automatically adjust the ride height based upon load. The Wolverine X4 is comfortable, quiet, capable and it inspires confidence. 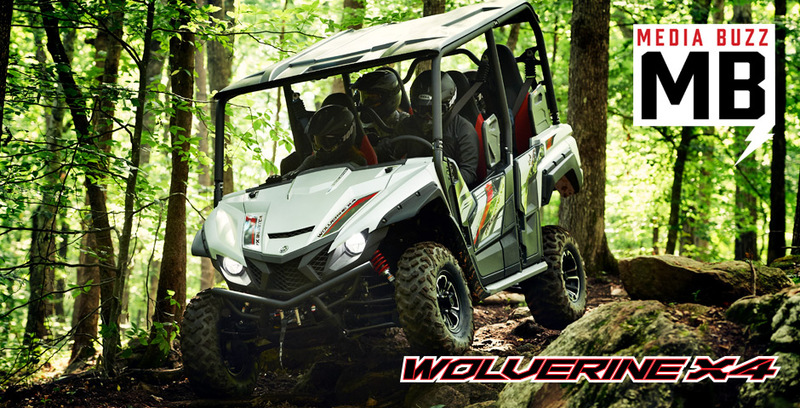 Learn more about the new 2018 Wolverine X4 SE and 2018 Wolverine X4 Recreation Side-by-Side.